Since William Penn presided over the state's only official witch trial in 1684, witchcraft and folk magic have been a part of the history of the Keystone State. English and German settlers brought their beliefs in magic with them from the Old World--sometimes with dangerous consequences. In 1802, an Allegheny County judge helped an accused witch escape an angry mob. Susan Mummey was not so fortunate. In 1934, she was shot and killed in her home by a young Schuylkill County man who was convinced that she had cursed him. In other regions of the state, views on folk magic were more complex. While hex doctors were feared in the Pennsylvania German tradition, powwowers were and are revered for their abilities to heal, lift curses and find lost objects. 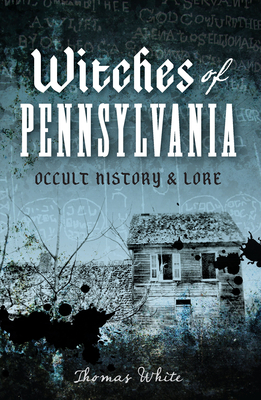 Folklorist Thomas White traces the history and lore of witchcraft and the occult that quietly live on in Pennsylvania even today.